While your computer's onboard sound might be "good enough," if you are serious about audio quality, it would be wise to invest in a sound card. USB variants in particular are a great way to easily update your desktop or laptop's sound. This won't just benefit listening to movies and music, but in some cases, gaming too. Creative has long manufactured superior PC sound hardware -- its "Sound Blaster" products are legendary. Today, the company announces its latest such offering. Called "Sound BlasterX G6," the USB DAC offers an insane 130dB dynamic range. Best of all, it is compatible with PC (Windows and macOS), Nintendo Switch, PlayStation 4, and Xbox One. It will probably work with Linux-based operating systems -- such as Ubuntu and Fedora -- too. 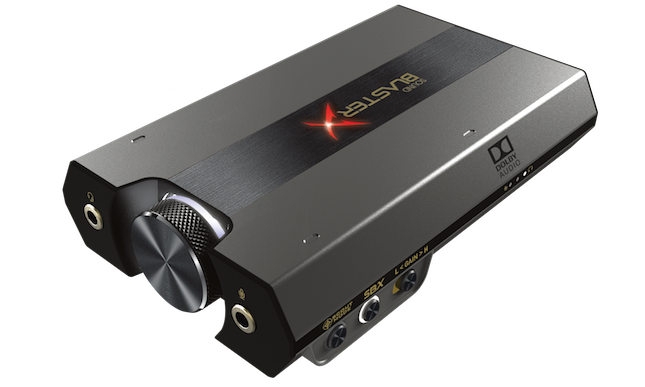 "The Sound BlasterX G6 is a high-resolution gaming DAC amp and USB sound card capable of 32-bit/384kHz PCM and DoP playback. 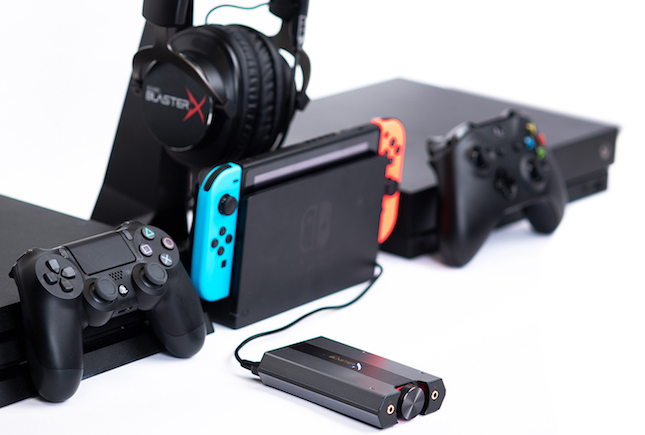 Built with precision audiophile components, the Sound BlasterX G6 provides an outstanding audio upgrade from default audio for PS4, PC, Xbox, and Nintendo Switch, bringing new life to games and entertainment. The award-winning custom-designed Xamp discrete headphone amp utilizes bi-amplification technology to power each channel separately, delivering a whole new level of audio fidelity with superior clarity and accuracy in an unaltered lossless model," says Creative. The company also says, "The ultra-low 1 Ohm output impedance perfectly drives performance-grade sensitive 16 Ohm in-ear monitors all the way to professional gaming headsets and studio-grade 600 Ohm headphones. It features Dolby Digital decoding, 7.1 virtual surround sound, sidetone-speaker volume control, and Sound Blaster's legacy of impressive sound enhancement technologies." To learn more about the product, you can check out the unboxing video above. It will be available from the typical retailers, such as Newegg and Amazon, very soon. The $149.99 price is very reasonable -- USB DACs with fewer features and lesser specs often sell for more than that.